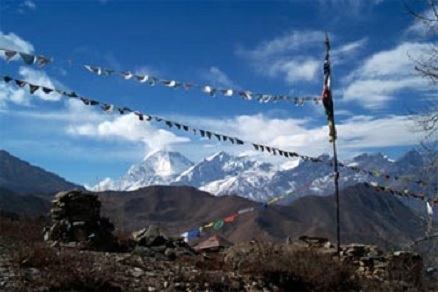 The Dhaulagiri trek explores a wild, remote and non tourist area of the Nepal Himalaya. This region is considered to be one of the most remote places of Nepal. Dhaulagiri region is at the West of the Annapurna region. 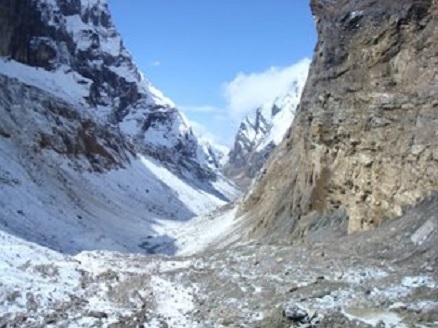 Both regions are separated by the Kali Gandaki, the deepest valley in the world. 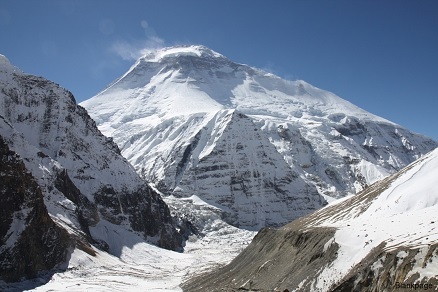 The Dhaulagiri is the 7th highest peak in the world. The massive mountains range of Dhaulagiri consisting of fifteen 7000 meter peaks is magnificent. This vast massif covers Dolpo to its north west. 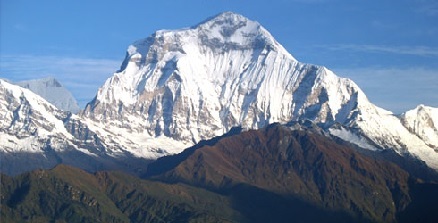 Dhaulagiri I reaches a height of 8172 m and can be seen from far distance, including from India by clear weather. After its discovery by Europeans in 1808, it was supposed to be as the highest mountain of the world during 30 years. This region has been first explored in 1950 by the French Herzog's expidition which failed in founding an access to the summit. After weeks of exploration around the Dhaulagiri they went to the Annapurna. The difference in the climatic conditions in this region is responsible for its varied flora and fauna. It is not only snow and glaciers but also ferns, oaks and junipers forests. Many species of flowers are abundantly found on the trail. Sparse vegetation is found up to 4500 m. A valley of rhododendrons, bamboo and pine forest lead up to Dhaulagiri base camp. The fauna includes wild animals such as Himalaya Thar, musk deer, leopards and different species of bird. 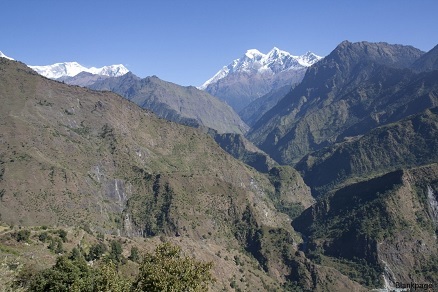 Dhaulagiri region is inhabited by several ethnic minorities such as Magars, Thakalis, Chhetri and Gurungs who speak their own languages and still adhere to local customs. 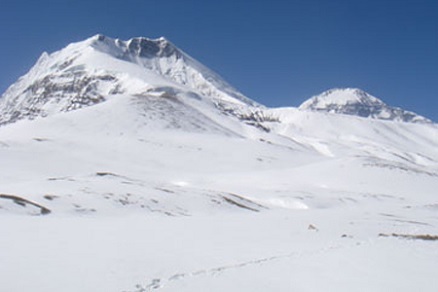 The Tour of the Dhaulagiri isolated trekking offers amazing natural scenery. It starts from Beni then follows the Myagdi Khola river to Darbang. It then turns north through lowland forests into higher places. After the French pass, this is the spendid hidden valley. After crossing the Dhampus Pass the trek ends with a steep descent to Marpha. The last part is passing by the Ghorepani crest and do down in direction of Pokhara. - Day 1: Kathmandu to Pokhara. - Day 2: Pokharato Tatopani by bus (6 hrs). - Day 3: Tatopani to Dharbang (5-6 hrs). - Day 4: Dharbang to Sibang (5-6 hrs). - Day 5: Sibang to Jugapani (7-8 hrs). - Day 6: Jugepani to Bogar (5 hrs). - Day 7: Bogar to Dobong (5-6 hrs). - Day 8: Dobong to Choribon (6-7 hrs). - Day 9: Choribon to Italian base camp (4-5 hrs). - Day 10: Italian base camp to West ice fall (5-6 hrs). 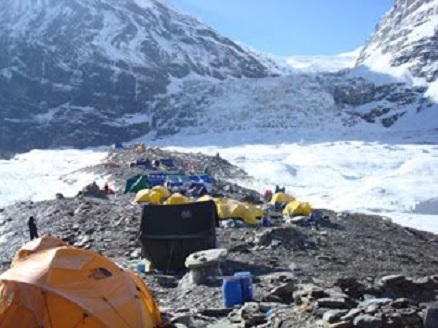 - Day 11: West ice fall to Dhaulagiri base camp (5-6 hrs). - Day 12: Dhaulagiri base camp to Yak Kharka chorten via French pass (5-6 hrs). - Day 13: Rest day at Yak Kharka chorten, side trekking around Dhumpus peak. - Day 14: Yak Kharka chorten to Yak Kharka via Dhampus pass (6-7 hrs). - Day 15: Yak kharka to Jomosom (5-6 hrs). - Day 16: Jomosom to Pokhara by flight (30 mn). - Day 17: Rest day at Pokhara. - Day 18: Pokhara to Kathmandu by flight (30 mn). 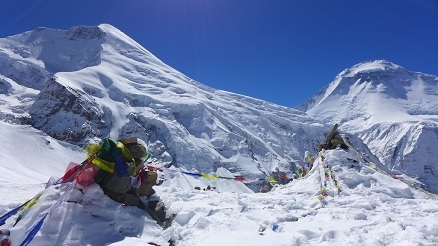 The tour of Dhaulagiri is a long, challanging and difficult trek. Most of the route is on snow and glaciers and it crosses the French pass at 5240 m and the Dhampus pass at 5155 m.
The first step is to go at Pokhara (1 day from Kathmandu by bus). The best trekking Season is from mid-September to end-November and from February to May. It could be very cold at the base camp and for crossing the passes. 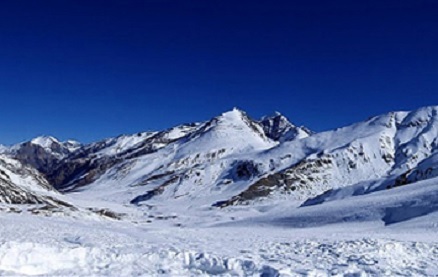 This trek is addressed to sporting and well trained trekkeurs who pratice walk on glacier.